No jokes about it... | A.B.E. Remodeling, INC.
Hello, it's all fun to do an APRIL FOOLS JOKE and we can laugh along with one... but I just wanted to put a plug out here and say that A.B.E. Remodeling Inc, is no joke.... and we are waiting to seriously be of assistance in whatever your remodeling thoughts, dreams, wishes or hopes might be... Feel free to give us a call and no joking we are waiting for your calls. 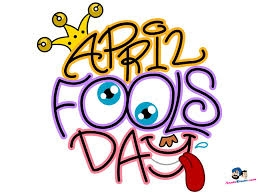 To fit in with the day we wish you all a HappY April Fools Day. Enjoy those jokesters.